When Mike and Josephine Yao arrived in Bangor for the first time in 1988, they finally felt like they were home. Thirty years later, as they’re easing into retirement after three decades of owning and operating Panda Garden, a downtown Bangor Chinese restaurant located on Franklin Street, they feel the same way. 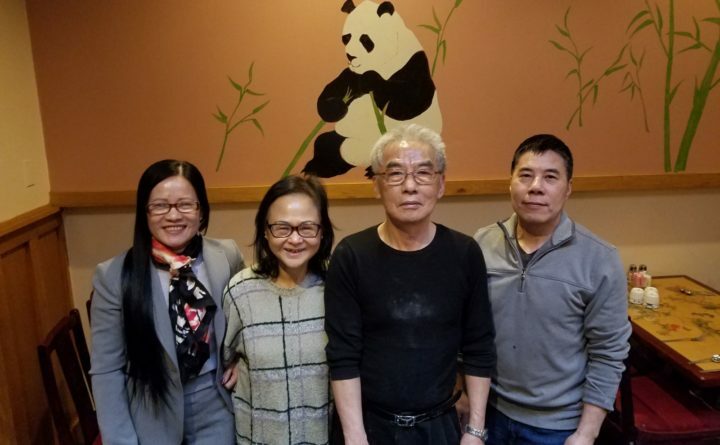 Panda Garden officially changed hands on Jan. 1, when Michael Cui, owner of Asian Palace II on Griffin Road in Bangor, took ownership, and Lisa Chan, also from Asian Palace, began managing the restaurant. In the coming weeks, the Panda Garden sign will come down, to be replaced with a new sign with a new name: Asian Garden. Josephine is originally from Hong Kong; Mike is from Taiwan. For the first 15 or so years after they immigrated to the U.S., they lived in New York City, but after a while, they decided they wanted to live somewhere a little less hectic. They visited Wisconsin, Oklahoma and New Hampshire before settling on Maine — Bangor specifically, where the warm welcome they received upon their arrival resulted in a life built in the Queen City. The Yaos opened Panda Garden in 1989, and lived in a large apartment above the restaurant for most of those years, though they now live in Brewer. Their son, Jonathan, lives in New York City, and their daughter, Melissa, lives in Bangor. Panda Garden quickly grew into a downtown Bangor staple. Many business and real estate dealings were made over the popular lunch buffet. The Yaos counted people including Stephen King and U.S. Sen. Susan Collins as devoted customers. And for most of its 30 years, it was the go-to place where many members of Bangor’s Jewish community enjoyed an annual tradition: the Christmas night Chinese food feast. Lisa Chan, the new manager, said she and owner Cui plan to keep everything that made Panda Garden special in place as they transition the restaurant to Asian Garden. The Yaos admit it is bittersweet to end such a long chapter in their lives, but both Mike and Josephine Yao said they are excited to spend several months back in Hong Kong and Taiwan — much more than the 10 days they usually got to visit most years while they were running Panda Garden. Both are now 70 years old, and are ready to relax a bit. Mostly, Josephine said, she and her husband feel gratitude for the community that has supported them over the years.